The only logical thing I can say about Rodney Crowell's memoir is that you basically should of started reading it yesterday. I'm not sure why Chinaberry Sidewalks registered with me so strongly, but I can still feel it even though I finished reading it over a week ago. Maybe it's because he's from Texas or maybe it's because my grandfathers name was also JW, who knows. 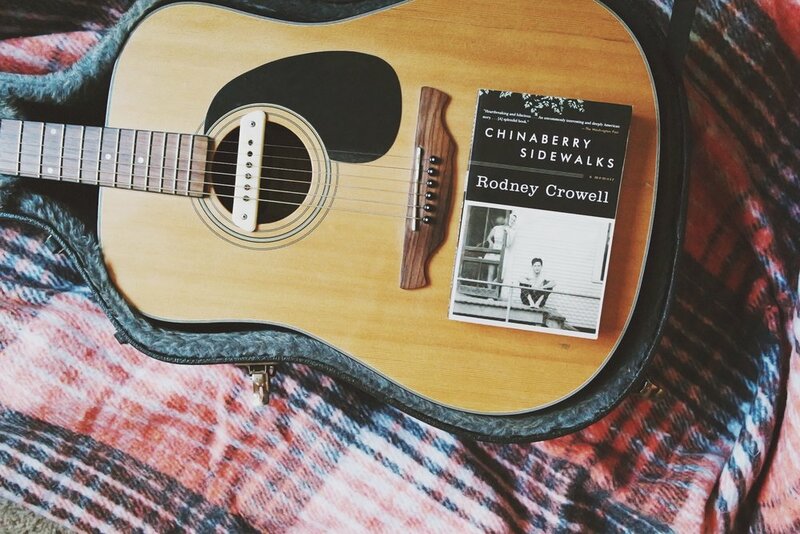 Rodney Crowell's writing is just lovely. He is such an amazing writer that a lot of the time I found some chapters reading as fiction vs. the old standard, "this is my story and this is what happened" monotony of some memoirs or auto biographies. There is character. And charm. And stories about seeing Hank Williams and Johnny Cash live. Really what more could you ask for? I do want to note though that if you're looking for a book strictly about Rodney's rise to fame or his touring days, then you have the wrong book. This memoir deals more with his parents and early childhood, making it hard at times to even fathom that this boy you're reading about grows up to be one of the greatest songwriters I've ever listened to. Are you reading anything interesting lately? I'd love to hear about it as I'm always on the hunt for new books!